My daughter is a Class A dilly-dallier. If you ever go somewhere with her, plan to be at least 15 minutes late. I remember walking to the park with her when she was two years old, moving at a tortoise pace, not because of her little legs, but because she stopped to examine every leaf, pinecone, and dandelion along the way. I thought she’d outgrow this, but at nine years old, she shows no sign of speeding up. I consistently arrive at school pick-up 10 minutes late, because I know she will be the last child out of the building. She’s the last person out of the van, the last family member at the dinner table, and the last kid to oh-so-slowly brush her teeth each night. I’ve tried bribery, timers, and straight-up threats. None of it works. Slowness is in her bones. He had a point, but I decided to take the moment to be the kind of parent I see in after-school specials. You know, the kind who asks thoughtful questions that lead to life-changing learning experiences, hugs, and Kenny G music, all in under 60 minutes. We were just a half mile from home, but I figured, at Mercedes’s pace, we easily had 60 minutes ahead of us. I looked around, too, not for the robin, but for witnesses to this gold star parenting moment. Unfortunately, I saw no one. But I figured, at our pace, someone was sure to pass us soon–probably a group of elderly citizens out for a leisurely stroll–so I kept the conversation going. Now Orlando had to really think, and I’m glad he did, because this time he came up with something truly profound. Indulge me while I metaphorize a bit. I want to be ready for cold and flu season. Give me the ways to naturally boost our immune system. I think we all see the benefits of slowing down in order to pay attention to the good things in life–the robins, the roses, the smiles on each other’s faces. BUT SLOWING DOWN HAS ANOTHER HUGE, OFTEN OVERLOOKED BENEFIT–THE ABILITY TO SEE THE, AHEM, CRAP WE’RE ABOUT TO STEP INTO. MAYBE WE JUST DIDN’T DILLY-DALLY ENOUGH. So I’d like to make the case for dilly-dallying. For intentionally slowing down. For noticing all the robins, pinecones, leaves, and dandelions. And yes, all the dog poop, too. **Note from Bri: Thank you Rose for this article. We all need the perspective shift on our crazy hectic lives. Read more about Rose below. Can you relate to this? Does your child dilly-dally? Could you stand some slowing down in your life? Rose Lounsbury is a writer, speaker, and coach who helps others live better lives with less stuff. After blogging about her personal journey to minimalism, Rose--a former middle school teacher--was inspired to help others find the freedom that comes from living with less. 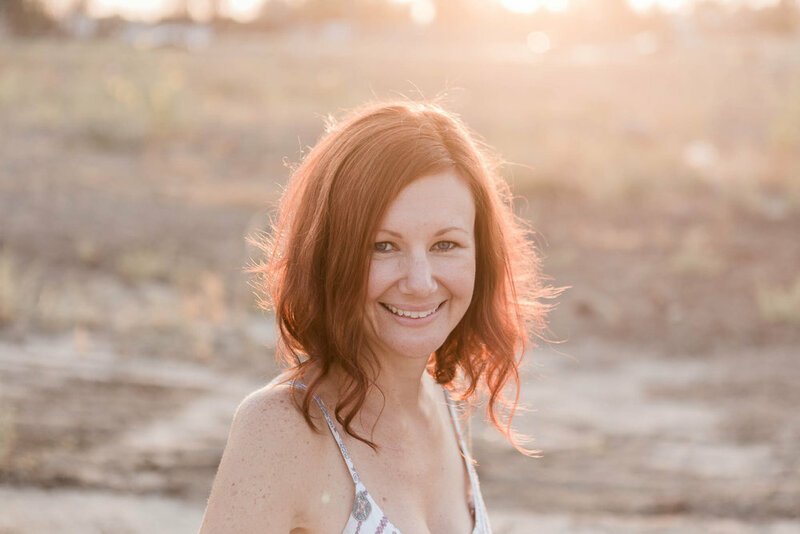 She authored the Amazon bestseller Less: Minimalism for Real in 2017, and currently coaches students both in-person and online through her Transform Your Home courses. Rose is a regular guest on Fox News Good Day Columbus and has also been featured on NPR, Good Morning Cincinnati, and Living Dayton. She lives in lovely Dayton, Ohio with her husband and their wild triplets. You can find her online at roselounsbury.com or on Instagram and Facebook.